We’ve all seen it happen: A calm and rational person gets into a car and suddenly they become a monster behind the wheel. Now you can rest assured that your car is always being driven safely thanks to the CarLock monitoring system. Teenagers hate it, parents love it. "Absolutely amazing product. My 16 year old son hates it, but his driving is really improving now. He says I'm spying on him, yep I am. It's my dime paying for the insurance, gas, etc. Drive well for a year and I'll take it off. Buy this thing if you have a new driver you need to stay on top of." "Works as advertised. GPS is very accurate and also I love the speed function. It can detect if someone is using your car at a high rate of speed etc. Overall it is staying in my car and a must have for every car." 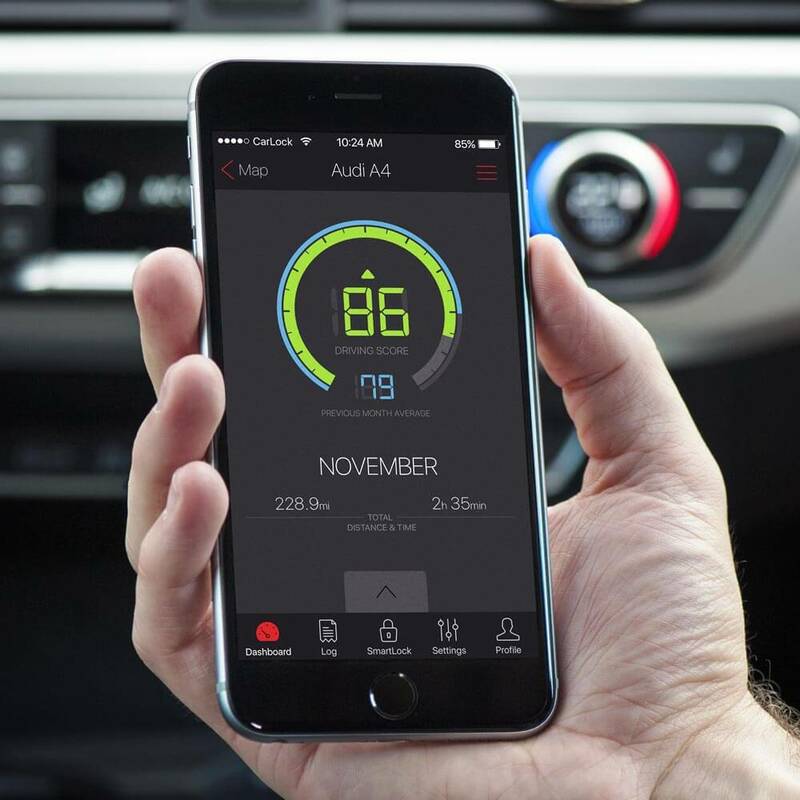 CarLock even lets you know whether this behavior is a one-off event or a constant problem for your drivers by recording these incidents and giving the driver an average score out of 100 on a month to month basis. It will even let you know if the driving is getting better or worse over time! In the event of a crash situation, CarLock can be setup to notify an emergency contact immediately via SMS messaging. The app can also monitor multiple vehicles at once.